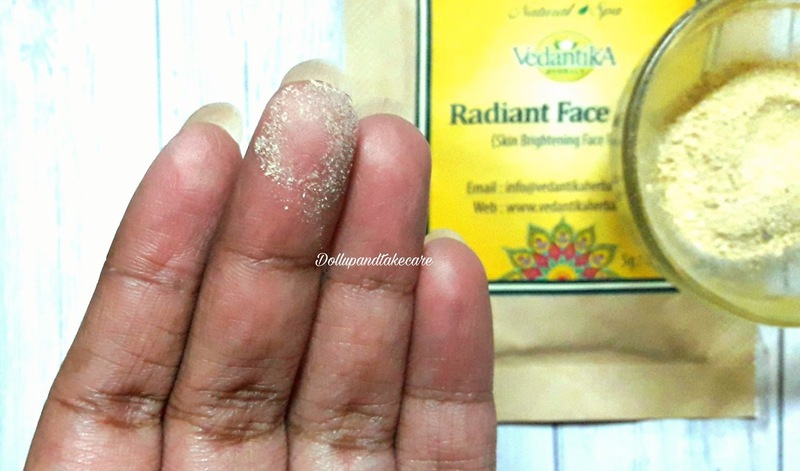 As promised I am back with the review of another product from Vedantika Herbals . After using their products i have now started trusting the brand .I guess none of you missed the last post where I told you about Rose-Sandal facewash from Vedantika Herbals . 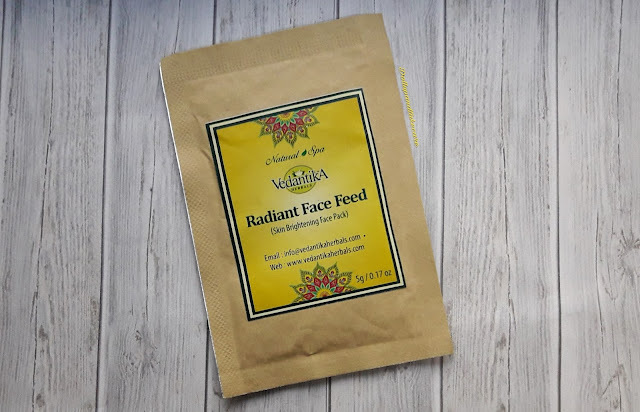 I received two 5g samples of Radiant Face Feed Sachettes from the brand. Calendula Officinalis (Marigold flower) - The herb stimulates the production of collagen. It gives natural shine on your skin. 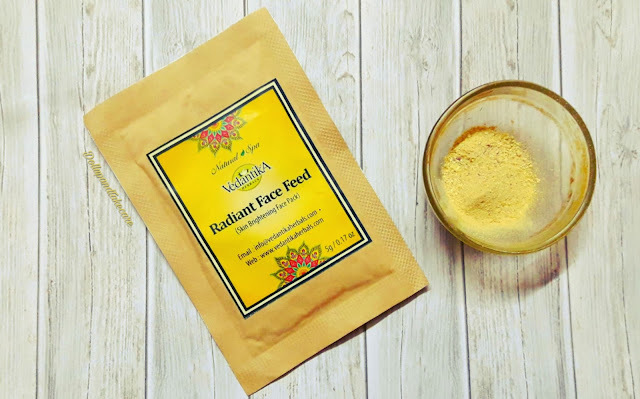 It provides antioxidant protection that reduces the appearance of wrinkles and ages spots, and even the visibility of scars. Santalum Album - It has very calming and cooling effect on the mind and body. 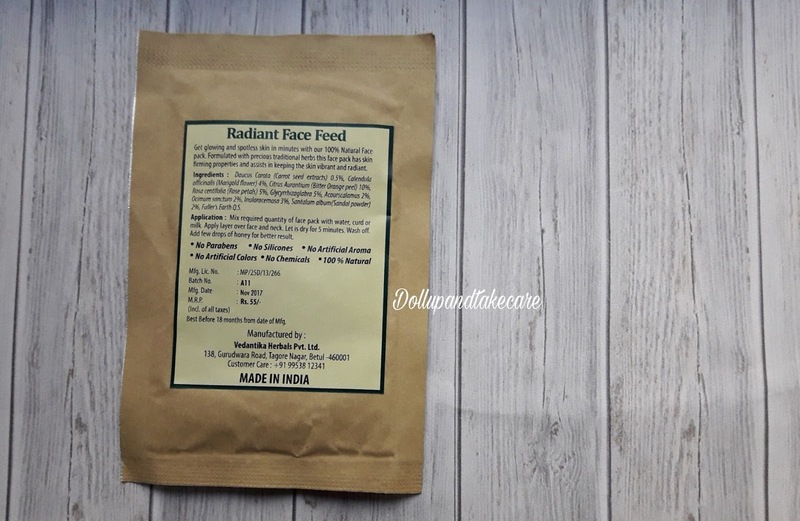 It removes the excess oils and cleansing the skin pores, killing the bacterial infection on the skin and moisturizing the skin to provide the radiant glow to it. 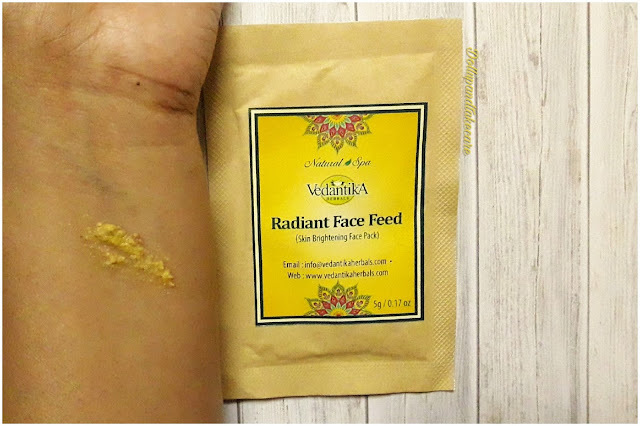 Multani Mitti - It is an excellent skin cleansing agent, ridding your skin of dirt, oil and grime while its high absorbing properties leave the skin feeling soft and radiant. 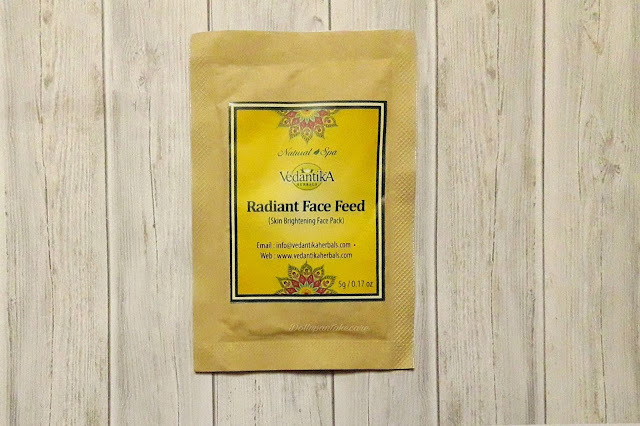 Get glowing and spotless skin in minutes with our 100% Natural Face pack. 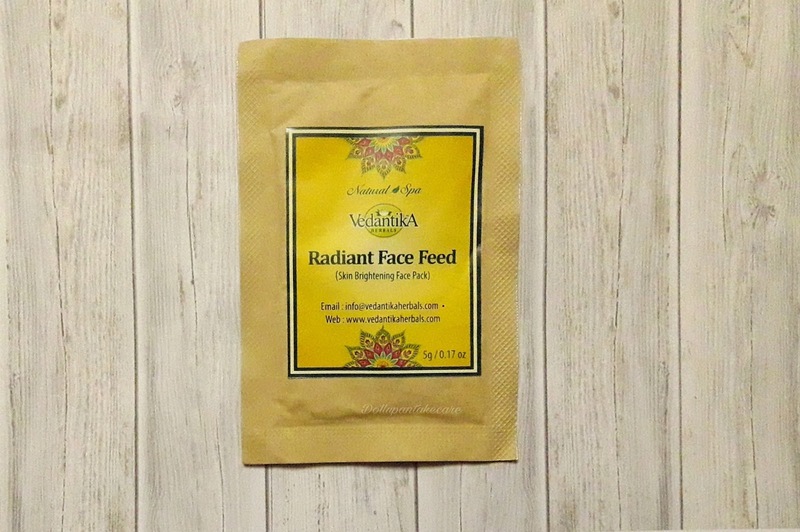 Formulated with precious traditional herbs this face pack has skin firming properties and assists in keeping the skin vibrant and radiant. Mix required quantity of face pack with water, curd or milk. Apply layer over face and neck. Add few drops of honey if needed. Let is dry for 5 minutes. Wash off. These come in simple sachets with the names written in the front and general details at the back. To me, the packaging looks a bit plain. Honestly, they look quite similar to the sachets of masala. As you all know , I am not into lightenting-brightening –whitening products .But a product the clamis to impart glow is nice .So the powder with water and applied ,It dries pretty fast and then I washed it of .It imparts a natural glow . The result was good .I found my skin softer and my dark spots were not vanished by appeared a little faded . 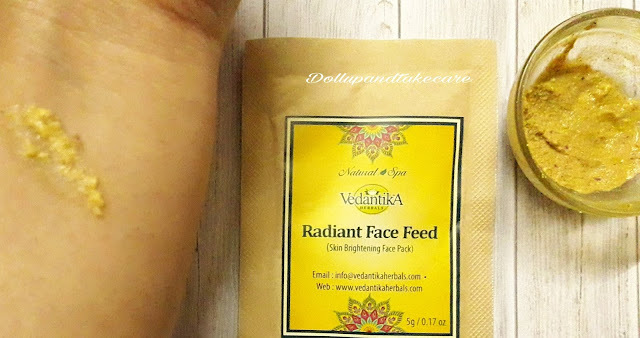 Back to the experience zone… I already mentioned I have sensitive skin .Neither the plain way nor the experiments gave me blemishes .Made my skin better.And guess what I already ordered a full sized product . 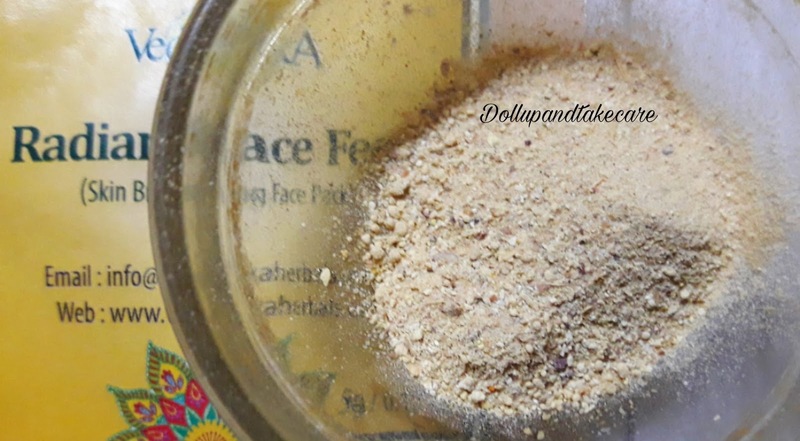 Brightens up the face and rejuvenates the skin. Natural ingredients are safe on skin.